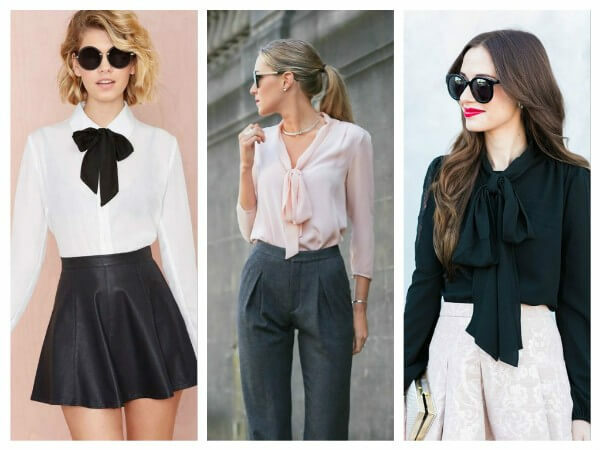 Blouses and shirts are the basis of a woman’s basic wardrobe. These elements of clothing are perfectly combined with trousers, shorts and skirts. In addition, they are appropriate in any situation: at a business interview, and at a friendly meeting, and on a date. Their style, as well as the color scheme will suit anyone. Such an element of clothing can be perfectly combined with various accessories, while remaining stylish and feminine. 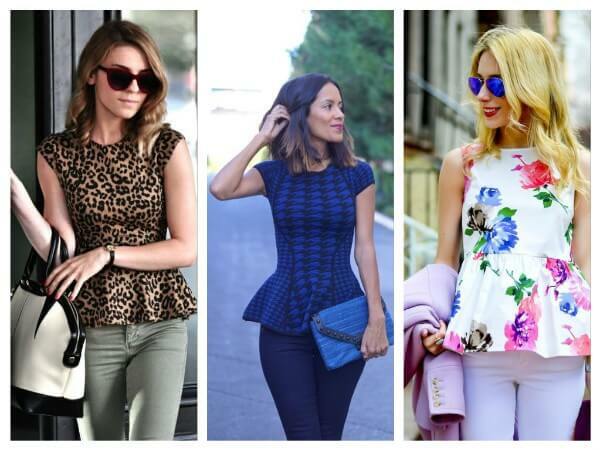 In this review we will tell you about the most actual variants of blouses of this year. 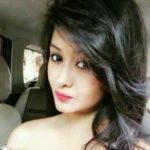 A bowed blouse is a very beautiful and elegant variant of clothes, with the help of which you can create a large number of attractive outfits. In addition, this blouse is very versatile, it fits perfectly with both a business suit and a romantic skirt, the length of which can be absolutely any. This style of blouse is impossible not to notice, which makes the image particularly refined and unique. Lace is topical again this season, besides it looks very gentle and romantic. 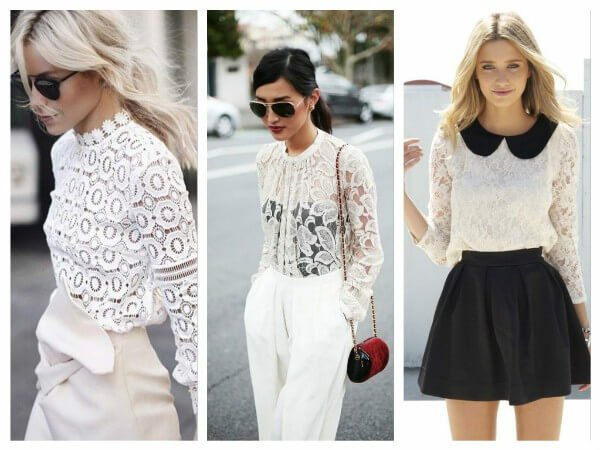 That’s why the lace blouse will be a great addition to the wardrobe of every woman. Color gamut can be any. Pastel shades, such as white, cream, powder-pink, blue – will give an image of incredible femininity and will be appropriate in the spring-summer season. Muffled dark shades, for example, burgundy, emerald, blue, black – ideal for the autumn-winter season, as well as make the evening image unique. In addition to classical combinations with strict trousers and skirts, lace tops can be combined with denim, such as jeans, boyfriends, shorts, flared skirts. If you are ready for extravagant outfits, you can make interesting combinations of lace in the style of sports glam, combining delicate blouses with a bomber jacket. A straight shirt, reminiscent of the one borrowed from the men’s wardrobe, is able to emphasize the natural femininity of each girl, giving the image of some carelessness. This blouse is perfectly combined with jeans, leggings and jeans. And if the length of the blouse shirt allows, it can be worn as a dress, balancing look cardigan or jacket. The bulk bag shopper, as a matter of fact, will complement the conceived image. A chiffon blouse is probably one of the most romantic items in a girl’s wardrobe. The lightness and translucency of the chiffon creates an impression of refinement and incredible fragility. 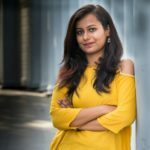 In addition, chiffon blouses are a very versatile element of the wardrobe, they look perfect in combination with pants and shorts, a variety of styles of skirts and jeans. Perhaps the most tempting style of this season was a model blouse with flat shoulders. Open shoulders look not only romantic, but also moderately frank. This is a very feminine version of the blouses looks appropriate both at celebrations and in everyday images. When choosing a companion to such a top is worth remembering an important rule – the more open the top, the more modest and calm should be the bottom. An elegant way to emphasize the naked collarbone and shoulders will be to choose a blouse with a neckline “boat” in the retro style, combined with a lush skirt length on the knee, or in the palm of your hand below or above the knee. 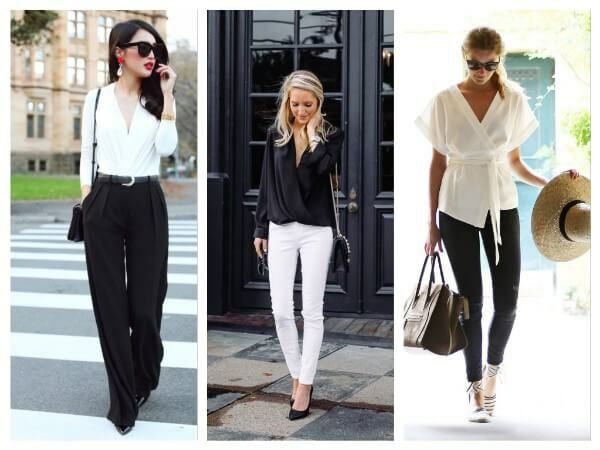 For everyday looks, a blouse combined with jeans or skinny pants, straight skirts or maxi skirts is suitable. In this case, you should refrain from massive jewelry. Perfectly complete the image of a shoe boat or sandals. A blouse with a smell – a spectacular and very comfortable thing. In addition, this style is very versatile, as it is combined with skirts and pants. The resulting V-neckline emphasizes the neck line and lengthens it, making the shoulder line narrower. An intimate silhouette with a smell will suit the image in a business style, a freer cut of the blouse – to create everyday images. Lace and fabric ruffles and ruffles adorning the blouses again in the trend. This version of the blouses looks very aristocratic. The main rule in choosing such blouses is moderation. Typically, to create blouses with ruffles used fabrics such as chiffon or cotton. In order to make the image with this blouse look harmonious, it is necessary to give preference to skirts or trousers in the style of minimalism. Blouse with basque/basky – a unique model, both strict and incredibly gentle and feminine. It fits well on the top of the silhouette, and the bottom of the basque falls in soft waves on the hips. This style looks appropriate both in the office and at festive events, as well as in everyday images. However, her choice should be treated with special attention. Luscious women should choose blouses with less undulating, but wide basque. This model of blouse fits well with a pencil skirt of any length and with jeans and skinny pants. Hope you like these fashionable blouses. Please keep visiting K4 Fashion for trending outfits and more! 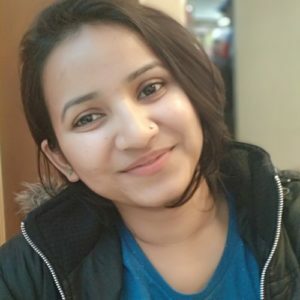 Don’t forget to read this selected post.